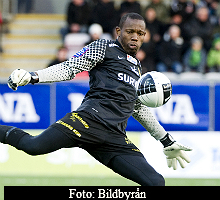 Dwayne Miller is an Jamaican international player who plays as a goalkeeper for Syrianska in Sweden's Allsvenskan. He has also won ten caps for Jamaica. Miller was also part of the squad that reached the final and won silver at the 2007 Pan American Games.